How Do Casement Windows Work? Casement windows open and close on a hinge. A crank located on the corner of the window fully opens it and closes it tightly. The windows are opened all the way to allow full viewing outside the house and to optimize airflow. We can install casement windows to open horizontally or vertically. When installed vertically the window turns into an awning-type casement window that swings both out and up. The hinges are mounted at the top of the frame. A quality window has a well-built crank that seals the window tight when closed. This makes casement windows an energy efficient solution for your home. Where Can We Install Casement Windows? Like double hung windows, casement windows can be installed almost anywhere in your home. Many homeowners use them on high walls to all draft to come through the house. If they are out of reach, you can purchase a rod that is specially designed to turn the crank. Casement windows can also be used in basements, hallways, bedrooms, kitchens, and bathrooms - wherever you want to put them. ● Single-Frame. These are the most common window style. They contain a single pane or multiple panes of glass that are embedded in a wooden frame. ● Double Casement Windows. 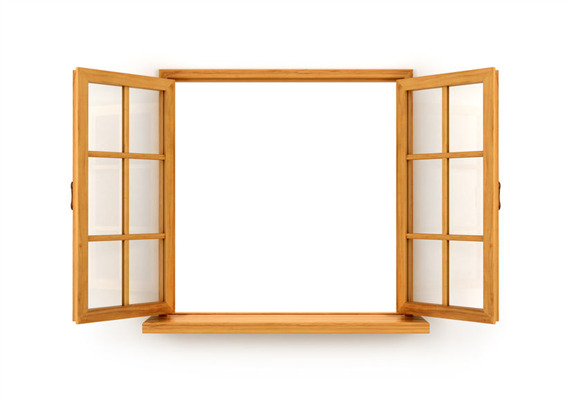 A pair of windows that open outward and meet in the middle when closed. The hinges are on either side. They’re also called French windows. ● Push-Out Casement Windows. Rather than using a crank, these types of windows are pushed out. They come in either a single or double window model. New and replacement casement window frames are crafted of vinyl, aluminum, wood, steel, and clad wood. The most common exterior colors are tan, black, brown, bronze, white, and cream, but you can find them in other shades, such as green, yellow, and red. To find out more about the benefits and features of casement windows, contact Window World MN today. We provide complete window installation, window repair, and full window replacement for all casement windows. Our services extend to residential properties in Minneapolis and St. Paul, Minnesota. To schedule an installation, contact us at 651-770-5570, or you can message us on our contact page. « What is the Best Type of Window for Your Home?